These carefully-engineered features will make the Shopsmith Mark 7 easier for you to use than the individual tools it replaces... and help you achieve better results, too. PowerPro Headstock (Power Plant) - State-of-the-art DVR (Digital Variable Reluctance) Motor develops 1-3/4 hp at 120 Volts or 2 hp at 240 Volts and is totally enclosed and fan cooled for durability. 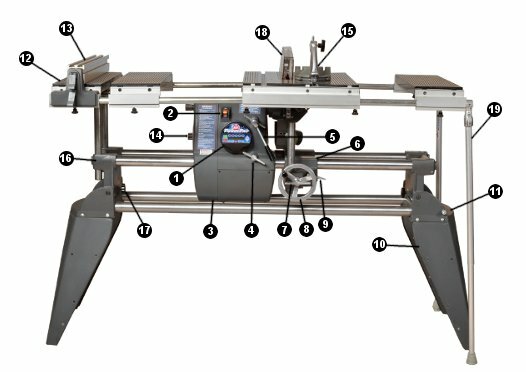 Click here for a quick overview of the features and benefits provided by Shopsmith's PowerPro Headstock and DVR Motor.